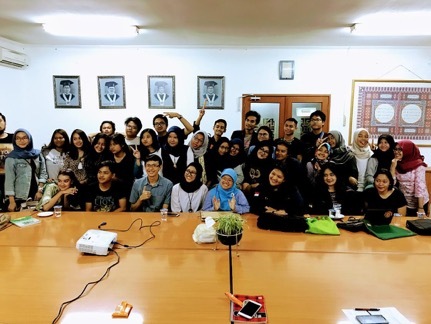 As part of a series of lecture events held in collaboration with universities across Indonesia, Peta Bencana Foundation was excited to engage with the community at Paramadina University on November 22nd, 2017. The event was held in collaboration with the university’s Department of Student Development, and the student organizations, Khatulistiwa, and Paramadina Social Care (PSC). 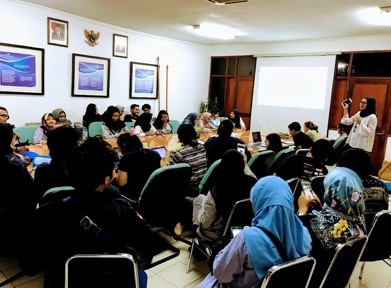 The lecture, titled “Harnessing Social Media and Open Source Software as Infrastructure for Climate Change Adaptation” was opened by Leonita Kusumawardhani, professor of Communication Studies at Paramadina University, and attended by 36 students (10 male and 26 female). The enthusiastic response displayed by the students led to productive conversations about the ways by which public platforms can support individual and collective decision making during disaster events. The students were especially enthusiastic to discuss methods of verification of crowd-sourced data, and how resident-conveyed information could be effectively employed by disaster managers for evidence-based response. Peta Bencana was happy to have such an engaged audience, and some great conversations at Paramadina University! 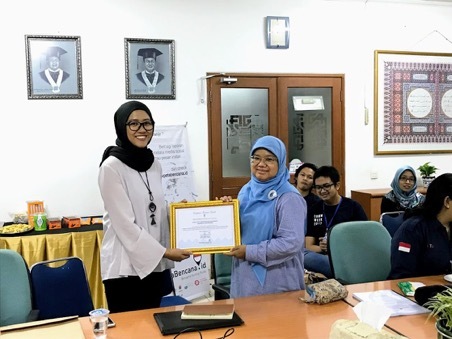 Both organizations are enthusiastic for further collaboration to continue alongside similar partnerships in Indonesia, with the hope of building well informed and resilient communities across country.